Thousands of travelers hold their breath and floor it across the state on I-80—here are 10 good reasons why they're doing it wrong. Often traveled, not always fully appreciated, the Iowa leg of Interstate 80 might not stand out as one of the most exciting moments of a cross-country road trip, but that's only if you don't know where to stop. Mistaken by many travelers for yet another Midwestern state to slog through, on their way to one coast or the other—it's nothing like the others, let's get that cleared up—there's actually a whole lot to see, and to eat and drink, often within a stone's throw of the highway. With a few planned detours (or impromptu ones, because that's what makes road trips even better), you'll be impressed by what you'll be able to experience, even if on a tight schedule. Because you can only wolf down so much gas station pizza as you go, here are 10 stops—listed in order, from east to west—that will get you up close and personal with Iowa, no matter how much time you've got. The first thing you'll see, crossing the Mississippi River, is the exit (306) that will lead you to the charming town of Le Claire, built right along the water. While they're not located in Le Claire's historic heart—you can go see that before you leave—the riverfront Bierstube is a rather excellent German beer hall, complete with a selection of actual German beers, not to mention on-brand snacks like sausages and pretzels. This is a fine place to celebrate having made it to the middle of the country, or at least kind of—you've earned it. Investigate one of America's most underrated regional pizzas. A malted, molasses-rich crust, a tomato sauce that's more spicy than sweet, a pound of lean, custom-blend sausage meat fragrant with fennel, and mountains of chipped, not shredded, Wisconsin mozzarella—there's nothing quite like a proper Quad City-style pizza, famously scissor-cut into strips, and if you're driving through here, you must stop and pick one up—if you're into pizza, that is, and who isn't, really? 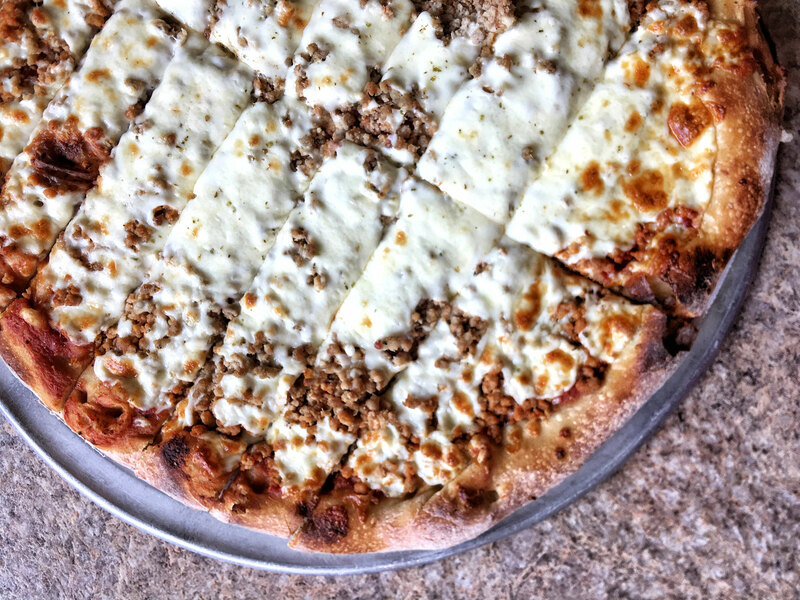 You can get them all over, but Harris Pizza, with shops in Davenport and Bettendorf on the Iowa side, is definitely a classic choice. Bookish Iowa City can feel a little stiff at times, but goodness, does that town know how to throw down—this is a city well outside of the known barbecue universe, and still they've got not one, but two, pretty great smoked meat palaces to choose from. First up, there's Jimmy Jack's Rib Shack, which opened up in 2005 and has three area locations now; more recent on the scene is Mosley's Barbecue and Provisions. Ethically raised Iowa meats, slow-smoked over hickory? Yes, please. We'll have lots of that. 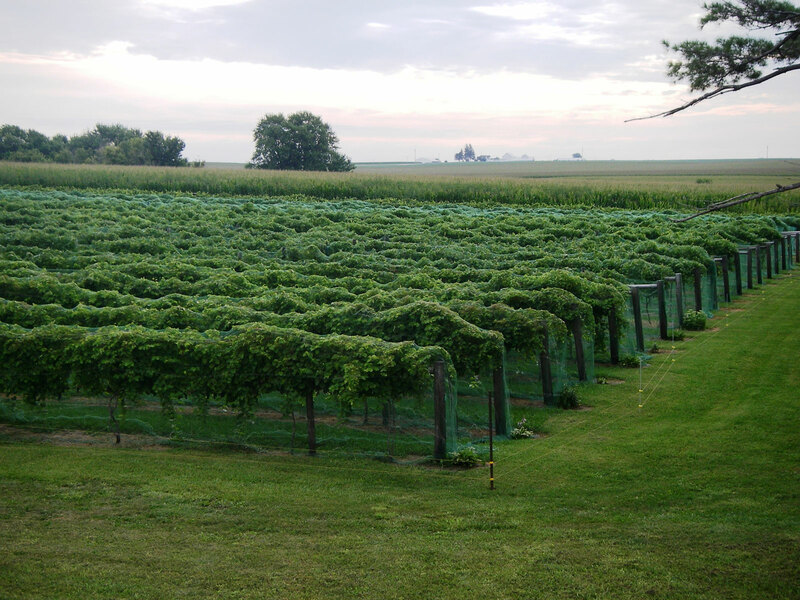 There's a whole lot of wine being made in Iowa right now, and if you ask the people who know these things, one of the most interesting wineries in the state happens to be just a short hop from Exit 220. Start with their Crownfire, a blend of estate-grown Marquette grapes and some trucked-in (hey, they have long winters here) Cab from California. In the mood to explore? Here, you're just a few minutes from the first of the Amana Colonies, a string of historic and rather scenic villages settled by German immigrants, comprising one of America's longest-lived communal societies. Population just above 9,000, quaint Grinnell is everything you want in a small town in Iowa, plus a renowned liberal arts college, and a famous bank building, which you must see, designed by Louis Sullivan. There's also a nice little selection of things to eat and drink here, from loose meat sandwiches at the classic Montgomery Sandwich Shop to coffee and Iowa-sized pastry at the warm, welcoming, 1990's throwback Saints Rest. Not that there haven't been recent developments—service can be slow, but there's good food at Prairie Canary, one of the town's best sit-down restaurants; even newer, over at the super-cool Hotel Grinnell, there's The Periodic Table, which is more like a bar with snacks than a restaurant, but they're good snacks. Bowls, flatbreads, sliders, tacos—all the modern must-haves, basically. Yes, that's right, pick your jaw up off the floor and get with the times—Des Moines is having a moment. Just out of the downtown canyons in this growing city, Des Moines' Western Gateway neighborhood, centered around the massive Pappajohn Sculpture Park, makes a fine spot for a civilized break, all just a few minutes off your route. 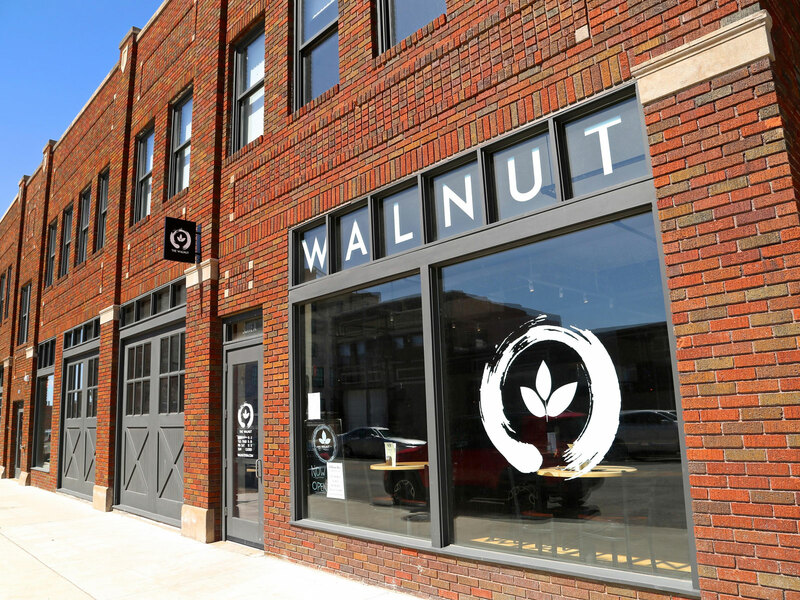 Stop for lunch at The Walnut, dinner at Harbinger, a scoop of ice cream at Black Cat, or an espresso at Horizon Line, the best coffee shop in Iowa. Pressed for time? Nearby, the smart Gateway Market predates Whole Foods' arrival in the region—their prepared foods are miles ahead, too. So, it's not like Des Moines had nothing to eat until 10 years ago, but the last decade definitely shook things up around here, food-wise, and otherwise—these days, one of the city's best-liked restaurants is an Ecuadorian joint, tucked into a suburban strip mall, so close to the highway you can hear it from the parking lot. Mi Patria offers a guided tour of Ecuador's culinary bounty, from llapingachos, those stuffed potato cakes, to ceviches, to the traditional hornado—slow-roasted, marinated pulled pork. It's all here, and while each dish is not always 100 percent bang on authentic, the food is quite good. Operating from a snug little annex off of a single-family home in Dexter, not far west of Des Moines, Drew's Chocolates is responsible for some of Iowa's best candy. In business since the 1920's and proudly fork-dipping every cream, cluster and crunch from the very start, this is one of the state's favorite chocolatiers—stop in and try a few, then get a box of bonbons to go. There's something about the terrain along I-80, the further west you go—it seems to take on a more alluring, slightly more western quality. Even the light seems to change. Maybe this is just the mind playing tricks, who knows, but maybe that's why the settlers from Denmark chose to come this far west, to an area that's known as The Danish Villages. Elk Horn (Go Vikings!) is the one with the most appeal; the town is home to the Museum of Danish America, and there's even a proper windmill, currently missing its wings, but that's okay, because you're really here for the food. From Danish pastries and cups of joe at Coffeegirl to one of Iowa's favorite pork tenderloin sandwiches at Larsen's Pub, to excellent thin crust pizzas at The Flour Mill, you're in good hands here. Nebraska's not nearly a foreign country, but this historic city with its back all but turned to the Missouri River has something of a border town feel, like you're at the end of something, and about to transition into the next. (You kind of are.) While many road-trippers stop here for the night, they're usually somewhere out on the fringes—if that's you, make the effort to get into the city's historic downtown area, where on Fridays and Saturdays, you can feast on prime rib with a side of mostaccioli at the super-vintage Pizza King. Too tired when you pull in? That's cool, you can come down the following morning for breakfast at Duncan's Café. Giant pancakes, cinnamon rolls buried by a blizzard of frosting, overstuffed omelettes—this family-owned spot feels like something out of a documentary about the Iowa primaries, and it'll leave you set for eating at least until you get halfway across Nebraska—maybe more than that.